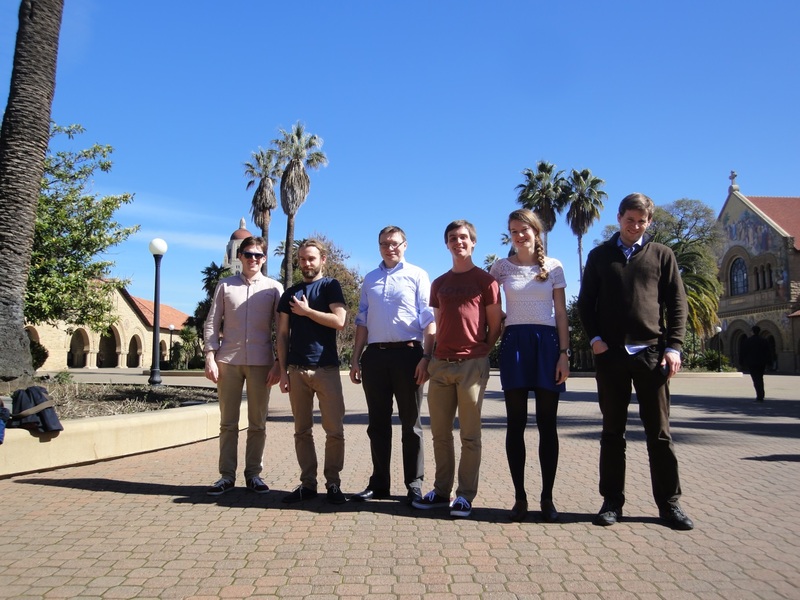 As part of a group of six Imperial students who visited California, I travelled to San Francisco to work on two projects: the New Climate Economy project, and a research collaboration with the Joint BioEnergy Institute. The New Climate Economy project is a government-commissioned project looking at how economic goals can be achieved in a way that also addresses climate change. The Innovation stream, led by Stanford University and the Grantham Institute at Imperial, is focused on the potential economic and environmental impact of disruptive technologies. Beginning in January, a group of six Imperial students each focused on a different technology for the project, researching and preparing case studies for our weekly teleconferences. The topics researched were as varied as solar PV, nanomaterials, customer segmentation and the smart grid. My focus was on carbon capture and storage or utilisation (CCUS) technologies, and the policies needed to support them. In Palo Alto, we worked together with Stanford students to construct a business model for each of our technology clusters. Our research findings were presented to NRG Energy’s newly formed Station A, a kind of skunkworks for energy resilience within NRG, a wholesale power company. The collaboration was a successful and a productive one, and several of us will continue to work with the New Climate Economy project to publish our research. The work will contribute to the UNFCCC COP negotiations in Paris in 2015. During the latter half of the trip, I combined visits to Stanford with research for my PhD at Lawrence Berkeley National Lab across the bay. The San Francisco Bay Area is well-renowned as a bioscience and biotech hub, and is home to over 200 bioscience companies, start-ups and research institutes. One of these is the Joint BioEnergy Institute (JBEI), a branch of Lawrence Berkeley National Lab in the Berkeley hills. JBEI is a U.S. Department of Energy bioenergy research center dedicated to developing second-generation biofuels. These are advanced liquid fuels derived from the solar energy stored in plant biomass. The cellulosic biomass of non-food plants and agricultural waste can be converted to petrol, diesel and jet fuel, whilst the non-cellulosic part is a promising candidate to replace aromatic chemicals. My project at JBEI looked at the upgrading of lignin, extracted from the non-cellulosic part of woody biomass, into aromatic building-blocks. This experience was a valuable addition to my PhD project, which looks at the valorisation of lignin from pine wood to improve the economics of the biorefinery. A highlight of my stay was a visit to the scaled-up biorefining facilities at LBNL, where a one-of-a-kind reactor is used to convert biofeedstocks into fuels. It was a very inspiring glance into the future of biorefining and I look forward to working closely with LBNL researchers and others working in the field of bioenergy.